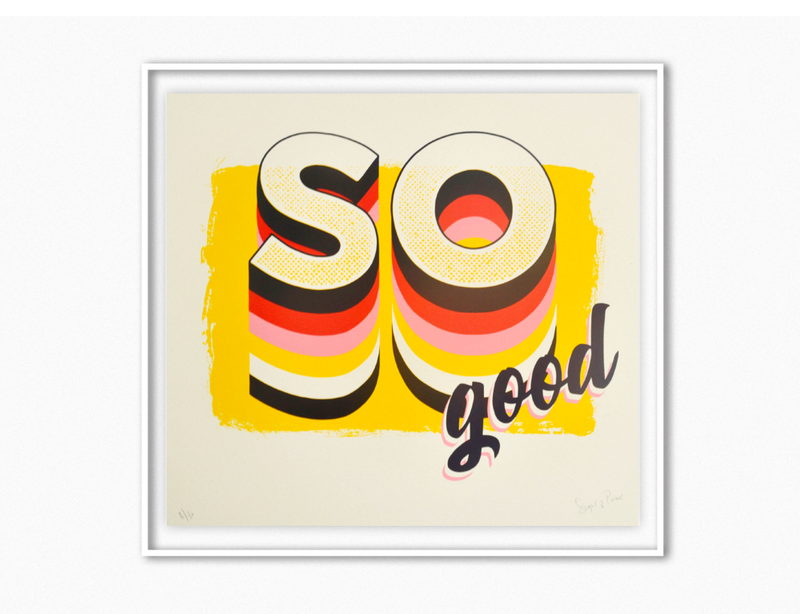 All prints below are screen prints in collaboration with Dublin Screen Printers Damn Fine Print. All hand drawn and hand painted lettering exposed onto screens for screen printing. 'DON'T OVER THINK IT' Available to buy from Damn Fine Print. 1 colour screen print on glass overlaying 2 colour screen print on paper. ‘POSER’ Riso print. Available to buy from Damn Fine Print. ‘ME AUL FLOWER’ 7 Colour Screenprint. 39 cm x 29cm unframed. Screen printed by Apollo Print Studio. Email hi@signsofpower.com to buy.